Sterling silver. Length 4.5cm, swirl diameter1.8cm. This elegant and sophisticated pair has a timeless appeal. 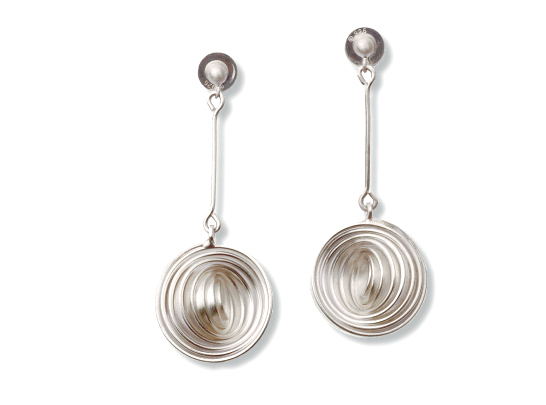 When worn the earrings often catch the light with a striking effect. Supplied with firm and secure ear-backs.